A complete Nordost 2017 lineup ! 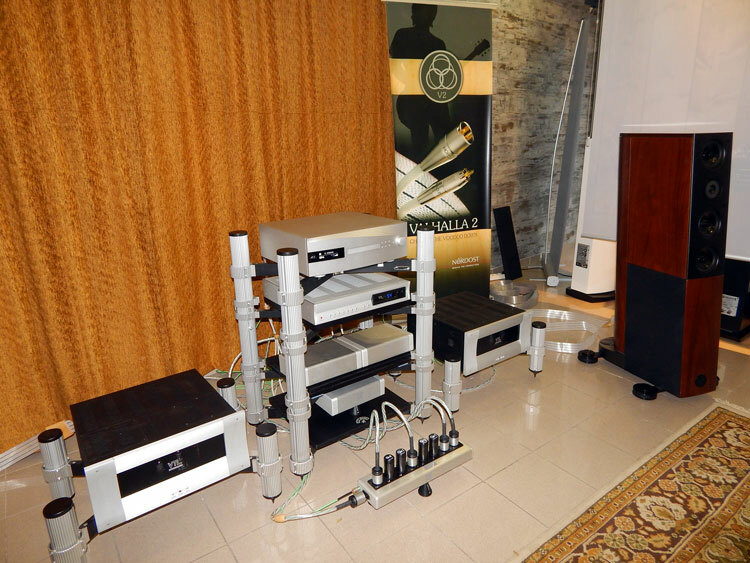 …with the company of VTL / Burmester / Wilson & Audiophysic / dCS. Not even 20 years ago, a company with a flat wire, that seemed to have a box that was more expensive then what was in it, came out. Flat like in appearance (used in aerospace, and in most computers on boards), and almost see through set itself apart right from the start. Dual/Micro-Mono Filament, TSC (Total Signal Control) technology, and the new HOLO:PLUG® Connectors, were but some of the powering tools, to achieve the unleashing of an expansive soundstage, the richness that no cable in the world could come close to, and the detail, warmth and 3 dimensional imaging that even live performances lacked, unless it was recorded with precision, were finally allowed to come through to our ears. Mixed with transparency, immediate bass that puts an extra letter in the word staccato, the ODIN 2, should go into history, with all the musicians and their lives, into the Hall of Fame on its own. 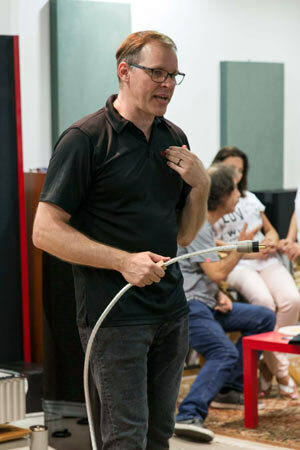 In Athens, Greece, only very recently was there a presentation done, where very exclusive guests had been invited to sample, by actually listening to the equipment right there and then. No gimmicks, no tricks, and the only thing being tested was the company versus itself. There was no under the table rumours or innuendos of their competition, and to be honest, why would they need to. 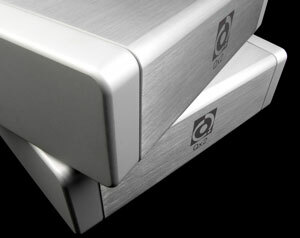 Nordost Odin 2 vs. Odin 1 comparison auditions on Wilson Speakers, Burmester amplification & dCS digital/pre. In the past, we have always wondered what would sound best on our system, we experimented with cables which helped elevate our extension in the lower quadrant of the sonic range, or enlighten the mids, as to make them more real, and the story goes on. We never took the systemic approach, dare I dub it, the holistic approach to solving the problem that electricity causes, and what shields do, what RF signals actually do not do, and how to lower the cost of our problem solving, instead of going into a continuous trade-in of our cables until we finally get to a high end brand in the end anyway. The company’s ideology is very unique, yet the simplest in the world. They start with the hole in the wall that starts the entire production of chaos, and it closes when it finally finishes its trip to our front end, and to our speakers. What better than to clean the entire area from the weight of something which affects our systems more than 25% at times, and literally lets our system play with nothing but its music, which it was meant to give in the first place. Let’s start with the Sort Lift, which is unlike anything else I have seen, or heard, due to their flexibility of the cable, and not its total tomb (meaning totally unmovable), as other cable lifts seem to follow. The Sort Cone, which dissipate in such a way as to resemble the power of the pyramids and the energy field which it lets off from top to bottom, annihilating the negative energy between components, and lets not forget the QRT QBASE, which sort out so many problems, and gives the listener the ability to plug in, and use Sort cones under it, to even further the experience. 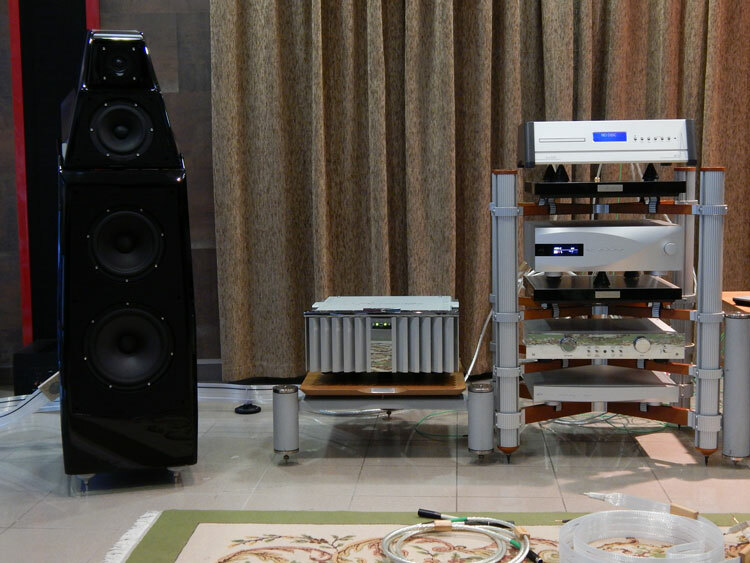 Nordost QRT filters/base comparison on Audio Physic speakers driven by VTL monoblocks and sourced from dCS digitals. Nordost Sort Cones & Lifts did the Hat-Trick ! You see, Nordost, does not try to fix the entire problem with an all in one exclusive hundred-thousand-dollar product, it gives you the update, which is so much easier, not only to purchase, but to enjoy the steps up, as you go up the ladder in these very highly scientific researched solutions. The QX2, allows you to help your problems in one area, while the QX4 in another. The QK1 and its family range is simply so versatile that not testing it would be a crime, as is the QLine Ground wire, which both help solve vital ground problems with the source itself. The no nonsense A/B testing is evident and the company is very honest about its findings, that it shows you (by playing samples of their own cables on a stereo, with the use of its best cables) and then if you have problems with your homes electricity or grid, gives you solutions to almost create the best performing wire I have heard. I might have to think for a moment and wonder if every company had the full set of goodies given here, how would their cables sound? The answer will be soon given when I do a full review of all of the above with other cables of the same cost calibre and fame as Nordost, such as Transparent, and EnKlein, and others which will be willing to get into a blind testing regime which will show not who is better, but what each cable does to the music perceived. After all, that’s the ultimate goal in the end, isn’t it? Qv – 2/1 line of Shuko plug-in filters. Or maybe not. Most people use their cables to overcome problems their system have, and fill in spaces or hide noise. But we won’t stick to that since we are only talking about people who want to find true audio salvation through pure unadulterated sound. Ultimately a utopia which seems to be getting ever so close nowadays, as science progresses and corporations dare to admit that, not even their finest cables can clean the uncleanable (meaning the impurity of our electricity). 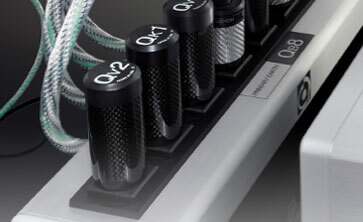 …and the new Odin 2 power cables. Dire assistance with our current is required, and the quest for more expensive cables is not desired, or is the solution. 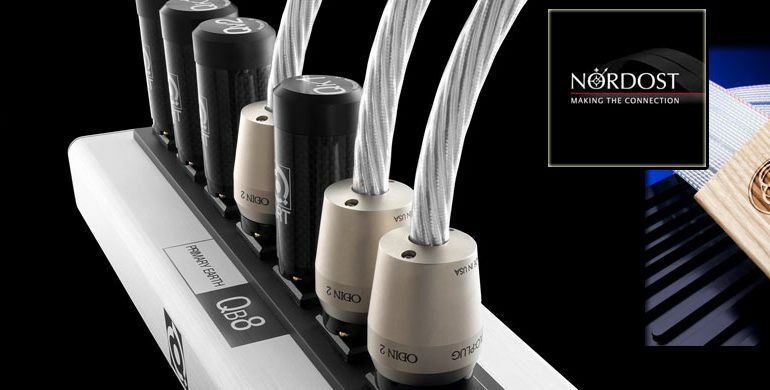 Solutions given by Nordost will solve the problem which has nothing to do with the cable itself, but with what starts every system once we press the ON control. The presentation today was very clear. There are ways we can move forward to never before imagined clarity and precision sound, without breaking the bank. 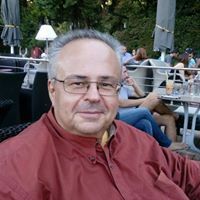 By upgrading on the real glitches we face, rather than simply changing everything in the system to work with the debris that comes out of our wall socket,. A very welcomed show and a big thank you to Diapson Audio and Orpheus Audio for inviting us to view and see for ourselves many changes that could be achieved, with the use of a few innovations and at the fraction of the cost of changing our system for no reason.